Nothing can be more frustrating or costly than dealing with an irrigation system that doesn’t work properly. This is why the experts at H3O Water Systems provide irrigation repair services in New Braunfels to help you restore your drip irrigation or sprinkler system. We can remove debris, replace broken components, diagnose flow or electrical issues to help you restore your irrigation system to normal functioning. With an irrigation system that operates at its maximum potential, you can ensure that the system provides water in a uniform manner, without the risk of wasted runoff or inadequately watered plants. If you are in need of having your sprinkler system or drip irrigation system repaired, H3O can troubleshoot your system whether you have a new or an older system. We can also retro-fit older systems to upgrade them to newer technologies depending on your needs. Our irrigation specialists are licensed and fully ensured in order to quickly respond to your irrigation system repair needs. 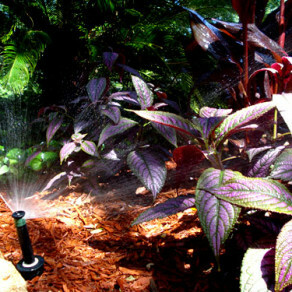 We understand how it important it is for you to get service quickly because of the fact that you want to protect your landscape investment while also ensuring that your sprinkler system provides reliable future operation. To ensure that your sprinkler system continues to work optimally, our technicians at H3O Water Systems recommend that you pursue a yearly maintenance program. We can schedule visits to your property once per year to perform a check-up along with routine cleaning of the filters, sprinkler heads and to replace any damaged components. If required, these services can be performed automatically by signing up for a maintenance plan. learn more. H3O Water Systems also fully covers our work with a comprehensive warranty so that you can feel confident about the value of our services when you upgrade or install a new sprinkler system New Braunfels with us. H3O Water Systems has over 100 years of combined experience in water systems. Since 2006, we have served our customers with only the highest work ethic and quality services. At H3O, we offer a full range of commercial and residential services, including irrigation repair New Braunfels. To learn more about our irrigation repair services New Braunfels, contact us today for a quote or give us a call at (210) 404-9939 for immediate assistance.